Testing your garden’s soil texture to find out if you’re wasting your plant money is easy and solves all kinds of future problems and disappointments. 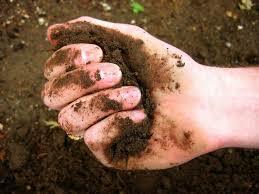 Grab a handful of soon-to-be-planted garden soil and squeeze it. That’s it. If soil falls apart, it’s too sandy, add a lot of compost. If it sticks together, it has too much clay…add a LOT of compost or even better…build a raised bed… it’s faster. If it crumbles and partially stays together…yay you! That’s perfect. Perfect plants are ones that you like and will grow where you want them to grow. Sound obvious? That’s another green thumb “secret”, right plant, right place. Getting that right gets easier all the time. Now, you can stand in a nursery, pull out your “I’m smarter than you” phone and find out everything you need to know about a plant before you buy it. 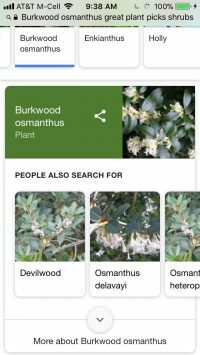 Two of the most complete reference sites for plant information and plant buying are: www.greatplantpicks.org (Seattle based) and www.plantlust.com (Portland based). Foisting a sepia-toned “in the weeds” book about soil and compost into today’s mix of glossy garden books is a brave step. When the authors of “Good Soil-Manure Compost and Nourishment for Your Garden” decided to plunge ahead anyway, we benefited. “Good Soil” is a treasure trove of nerdly explanations and practical information…all about making nutritious soil by adding various kinds of manure… green, gold, pig, cow, chicken, fish…all the good stuff. Everything from chemistry and biology to history and philosophy of “natural” fertilizer is covered. And of course, they make it funny. The subject begs for it. After you’re knee deep in the wonders of poo…you get the last half of the book…what and how much of it is the best for your plants. It’s definitely put together for today’s attention span…filled with snippets, sidebars and short to-the-point chapters. “Good Soil” is a reference book, not a “cover to cover” but one that will be used, not shelved.